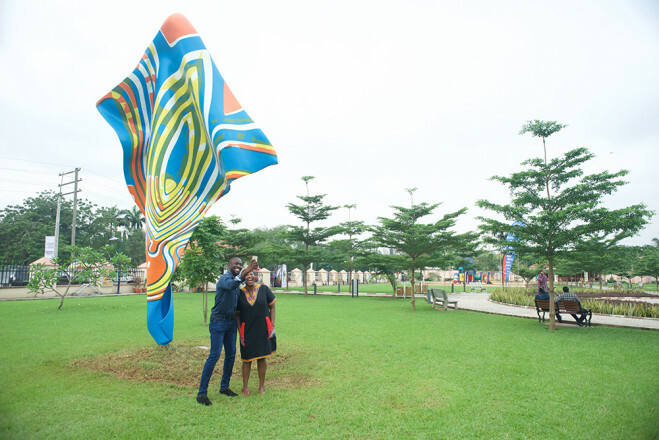 For the first major solo exhibition by Yinka Shonibare MBE (RA) in Nigeria, Wind Sculpture VI, a six metre high fibreglass sculpture, is installed in Ndubuisi Kanu Park in Ikeja, Lagos. 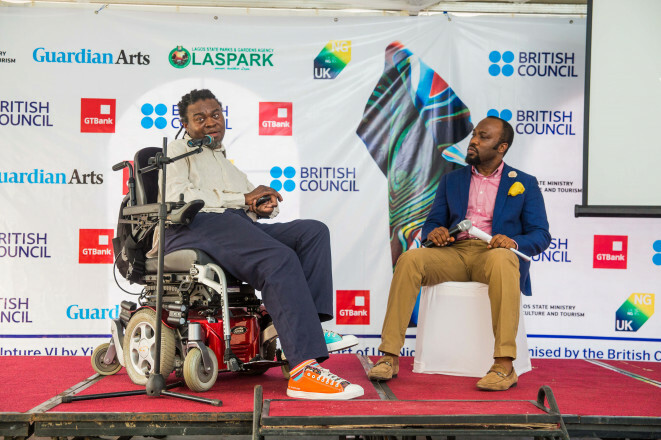 The project is part of the British Council’s UK/Nigeria 2015–16 season, which aims to build new audiences, create new collaborations and strengthen relationships between the two countries. 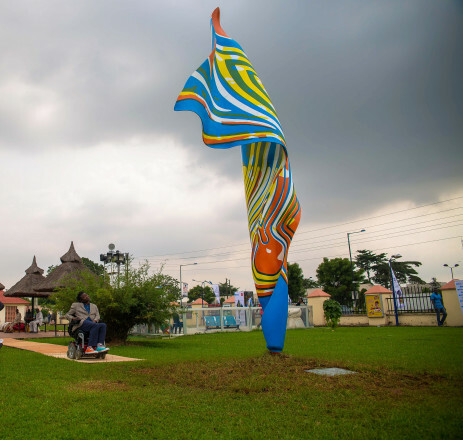 Shonibare, who was born in London and moved to Lagos as a child, is travelling to Nigeria for the unveiling of the sculpture. 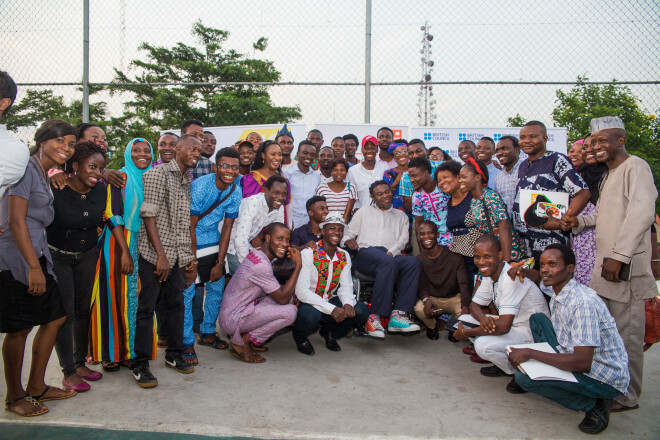 He is giving a talk to students and there is a screening of three films by Shonibare at the site of the installation in Ndubuisi Kanu Park: Odile, Addio del Pasato and Un Ballo in Maschera. Wind Sculpture VI forms part of a series of important large-scale works that marked a new departure for Shonibare by working in fibre-glass and steel. 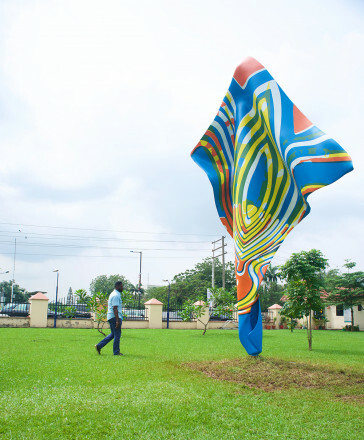 Using these materials, Shonibare investigates the shifting movement of wind passing through fabric. In these grand sculptures, the artist encapsulates the sheer volume of wind three-dimensionally with exquisite dynamism. With Wind Sculptures, Shonibare has captured a moment in time where wind passes through his signature Dutch wax batik fabrics on a dramatically grand scale. These six metre high sculptures appear to be an ephemeral billowing form but are actually rendered in steel and fibreglass. The organic concaved and convexed shapes formed by nature are mirrored in the patterns which replicate 'African' fabrics. There is a different pattern and palette for each sculpture in the series that are hand painted onto the surface with bright colours. All of the these elements together lend the work a magical and poetic quality that deliberately plays on initial perceptions and frames of reference, a thread running throughout Shonibare’s practice. This work was first shown in 2014 as part of Cannonball Paradise at Gerisch Stiftung, Neumünster, Germany. In 2014, a unique edition of the series was installed permanently on public display at Howick Place, Victoria, London. In 2013, two editions of the work were exhibited at Yorkshire Sculpture Park as part of Shonibare’s major survey retrospective. 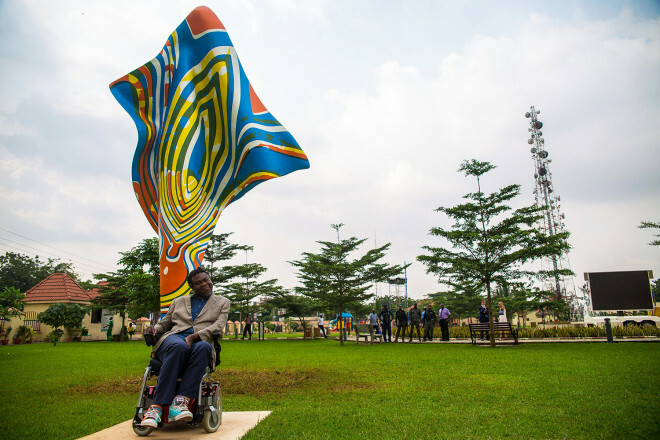 Shonibare's other Wind Sculptures are also currently on view in Singapore and the USA. 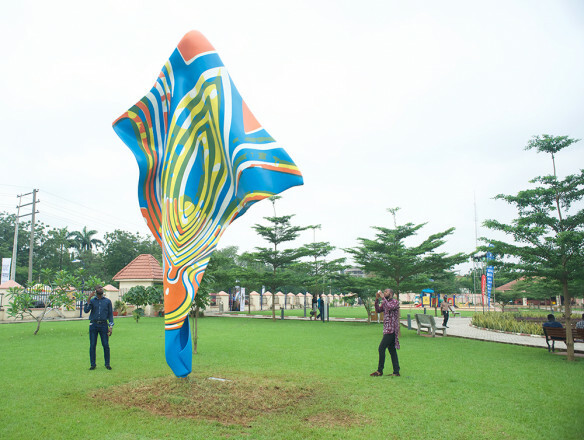 Wind Sculpture VI, Yinka Shonibare MBE (RA), is on display as part of UK/Nigeria 2015–16, organised by the British Council with the kind support of GT Bank. 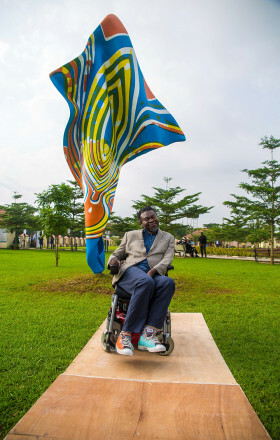 This installation is a collaboration between Yinka Shonibare MBE (RA), Stephen Friedman Gallery and the British Council.